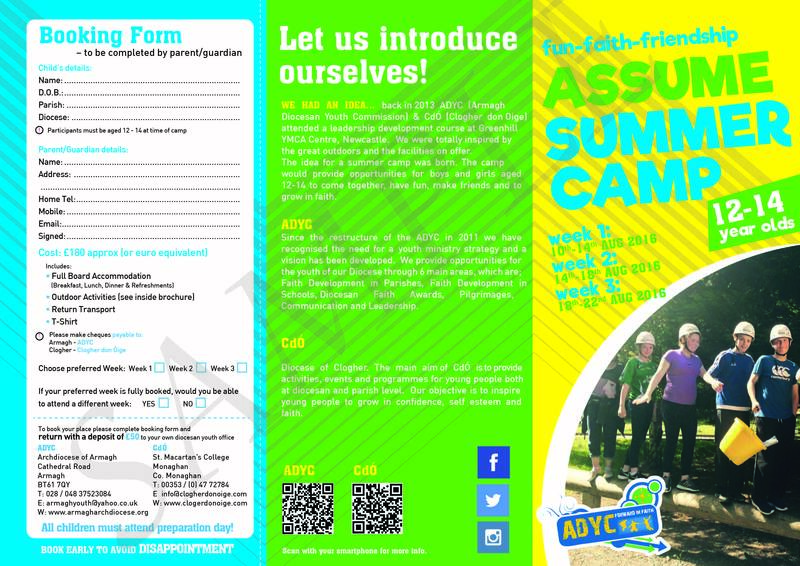 The camp will take place on three separate weeks for 12 – 14 year olds. The dates are 10 – 14 August (week 1), 14 – 18 August (week 2) & 18 – 22 August (week 23). This is a joint initiative with Clogher Diocese. In recent times ADYC and CdÓ (Clogher don Óige) attended a leadership development course at Greenhill Centre, Newcastle. We were totally inspired by the great outdoors and the facilities on offer. The idea for a summer camp was born. 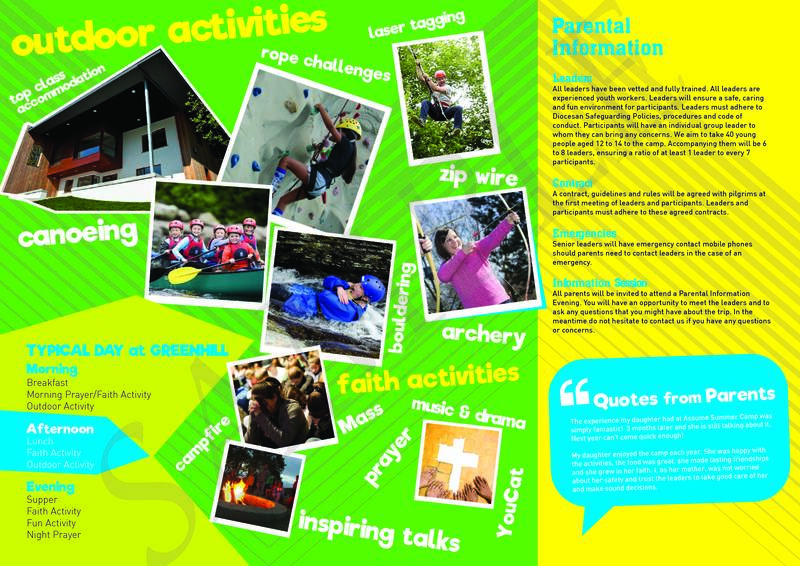 The camp will provide opportunities for boys and girls aged 12 –14 to come together, have fun, make friends and to grow in faith. We felt that this was an age group that requires nourishment of their faith through a fun and creative environment. organising and participating in vibrant youth-led Masses and singing our famous action songs! Over the few days the young people have seen faith in a different light, one that is enjoyable, cool and something to be proud of.